» Faculty of Education » Home » Congratulations, Jessica! 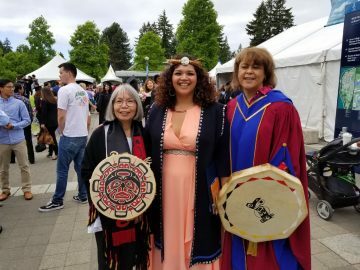 Congratulations to our Assistant Director, Jessica La Rochelle, who graduated on May 24, 2018 with her MEd in Educational Administration and Leadership with a focus on leadership in Indigenous Education. She graduated along with her 15 cohort mates. Best wishes, Jessica!